Suzanne is a licensed insurance agent and joined the Zinn team in August 2016 as a Commercial Account Manager. She started her insurance career in 1994 as a personal insurance servicing agent and made the move to commercial insurance servicing in 2005. 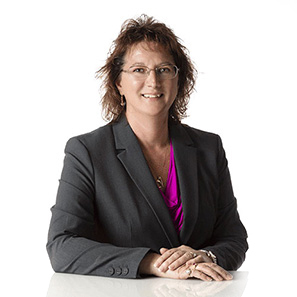 Suzanne holds the Certified Professional Insurance Woman (CPIW) and the Associate in Personal Insurance (API) professional designations. Born and raised in Lebanon city, she still resides there with her husband, David, her daughter, Alexis, and their fur baby, Tabitha. Members of St. Cecilia Church, her family volunteers at the annual summer festival and the spring fasnacht sale. Suzanne enjoys spending time with Alexis and attending her marching band events and school tennis matches. As avid Pittsburgh Steelers fans, the family’s favorite Sundays are when they’re all together rooting for their team. Suzanne also enjoys outdoor camping adventures with her travel trailer, motorcycle rides with David, long walks, flower gardening and reading.